Jim Hannon, The Absolute Sound U.S.A.
"The DiaLogue Three has a tremendous wow factor... it's difficult to believe that such engaging, gorgeous sound, coupled with a wonderfully expansive soundstage, can be had for such a relatively modest price." 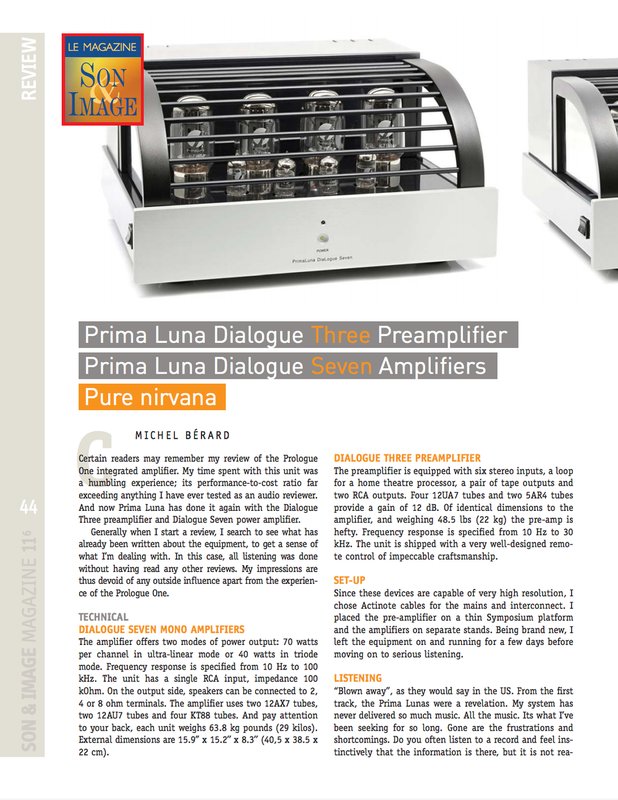 "The PrimaLuna DiaLogue Three is a shoo-in, a must-hear, and a potential hand-me-down." "My system has never delivered so much music...It's what I've been seeking for so long."